I had wanted to do a nursery rhyme theme for a long time for story time, but I was hesitant because I wanted it to be fun, memorable, and unique. Nursery rhymes are so important in early literacy, and many children are no longer introduced to them. 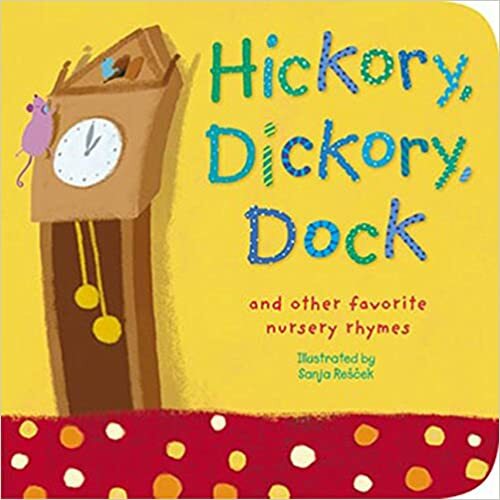 I wanted to make sure I had a nice balance between old and new nursery rhymes so everyone felt comfortable, and I wanted to throw in a few fun touches to make it engaging. Then, I introduced our theme. I asked if anyone knew any nursery rhymes. When no one responded, I asked if anyone knew any Mother Goose stories. Still no one responded, so I said that I bet they did and led them in “Twinkle Twinkle Little Star” and “The Itsy Bitsy Spider.” I said everyone knew at least a few of Mother Goose’s rhymes, and we’d learn a few more today. This is a cute version of this rhyme. 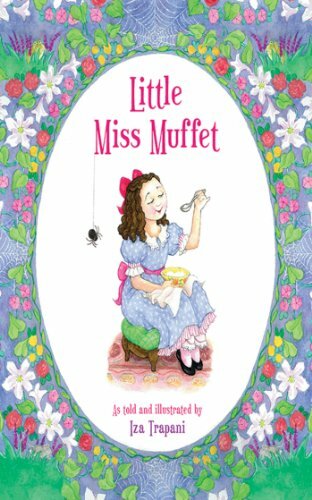 It follows Miss Muffet on her crazy journey to get away from all the creepy crawly and otherwise undesirable creatures she finds after she escapes from the spider. It’s a fun and funny expansion of the original rhyme with some entertaining illustrations. It was a hit at storytime! Seventeen, eighteen, maids are waiting. Yes, sir. Yes, sir, three bags full. I made sure to repeat black at the beginning and end of the song so they were more familiar with the original version than our fun take on it. This became more important for our last flannel activity. 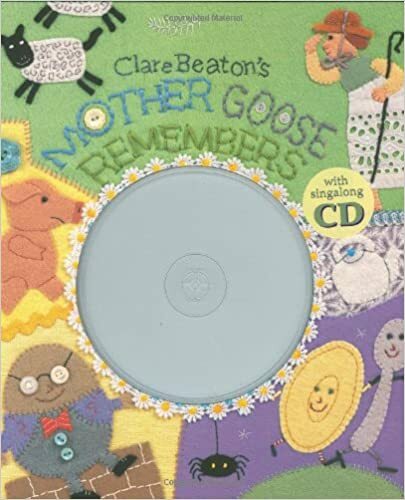 Mother Goose Remembers is an anthology of many of the classic rhymes accompanied with fun and colorful illustrations. Though it’s fairly simple and straightforward, it was a good addition for a traditional telling of the rhymes. I wanted to use one fun and unique take on a nursery rhyme, but I wanted to make sure to get the original in there somewhere like Little Miss Muffet did. I found the perfect addition in Cindy Moo by Lori Mortensen. It was our third book. 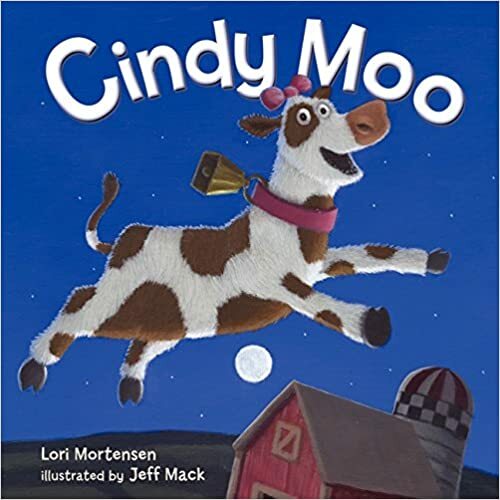 This is such a fun book that tells the original version of “Hey, Diddle, Diddle.” and then follows a cow who, having heard the rhyme, wants to try her hand at jumping over the moon. After much trial and error and a bit of creativity, she manages to make her dream come true. It’s a very cute story that the kids got a kick from. Then, we sang “Mary Had a Little Lamb” to return to rhymes they’d all heard and to refresh their memory a bit for our upcoming flannel activity. I’d originally wanted to include a magic envelope activity for Little Boy Blue that I’d found at Storytime Secrets, but I didn’t end up being able to use it. It’s a very cute idea, though, that I hope to include in another storytime because it’s fun and helps with reading comprehension and literacy skills. Next it was time for our final flannel activity! I decided to do a Mixed Up Mother Goose FLannel that I’d found at Mel’s Desk. All I did was print out pictures that related to the rhymes we’d used in this storytime, glossed them, added velcro tabs, and voila! I’d made a very simple flannel. All I did for this flannel was place one piece at a time while retelling a rhyme to test the kids’ memory. For example, I said, “The itsy bitsy SPIDER went up the HAYSTACK.” at which point the kids stopped me and would correct me. I kept doing this until I ran out of pieces. I was able to retell “The Itsy Bitsy Spider,” “Hey, Diddle, Diddle,” “Baa Baa Black Sheep,” “Little Boy Blue,” “Little Miss Muffet,” and “Little Bo Peep” with the piece I cut out. You could easily use other rhymes. This is a simple board book that’s a quick read with colorful and fun illustrations. I just wanted one more quick book to introduce another rhyme before we moved into our active part of the storytime. After all that activity, we sat down to make our craft–a cow headband so that we could all be Cindy Moo! I found this craft on SugarBeeCrafts.